There’s a skunk in the woodpile! I guarantee I Cover The Murder Front was not the title Robert Sidney Bowen gave his g-man story originally. The first oddity is the cover for the June 1937 issue of BLACK BOOK DETECTIVE. That title is prominently displayed on the cover, but strangely there is no author credit. I’ve got a sneaky suspicion that the original story for that title was a 1st person narrative, but it was either rejected or published later, under a different title. 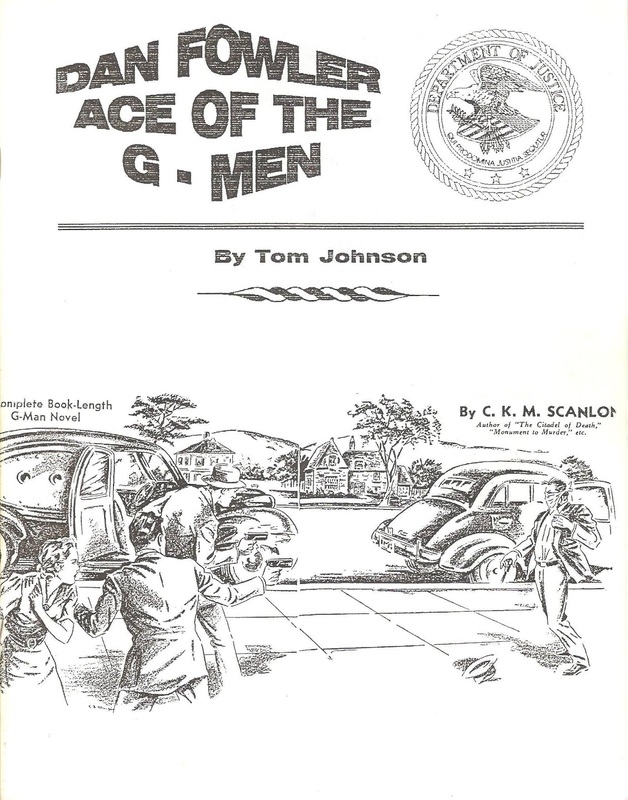 But since the cover was already done, they needed a story for the issue, and stuck Bowen’s g-man novel in under the cover title. 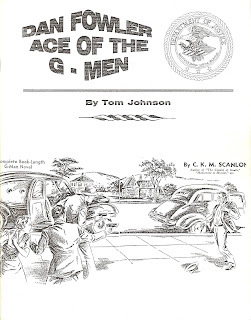 Jerry Page first alerted us to the story, calling attention to a chapter heading that accidentally listed the main character as Fowler, yet the character in the story was named Tom Denby. It wasn’t hard to figure out this was a rejected Dan Fowler yarn, but I was unable to beg, borrow, or steal the issue from anyone to read the tale. I offered trades, offered to give a pulp to anyone who would just let me read the elusive story. But there were no offers. Finally, Matt Moring procured a copy, and sent me the story to read for research. Robert Sidney Bowen was a well-known author at the time. 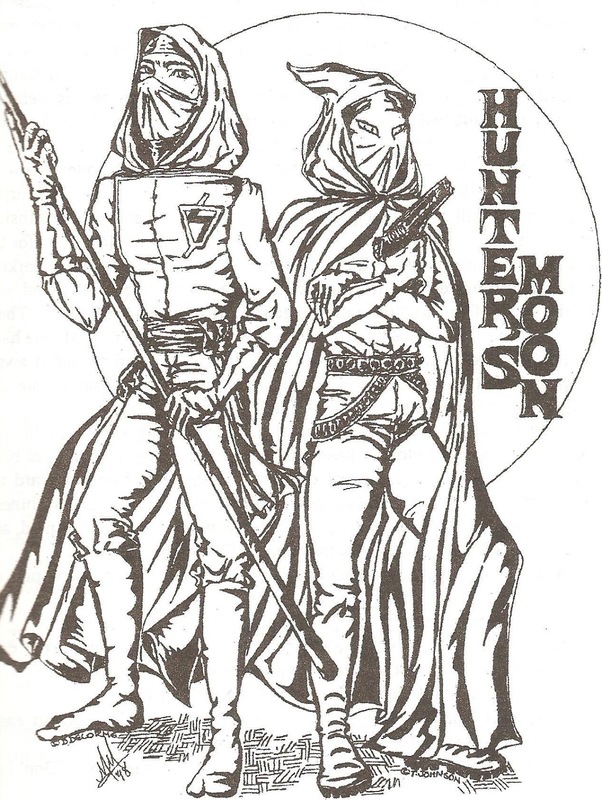 He had written the Dusty Ayres series for POPULAR PUBLICATIONS, and was writing the Lone Eagle stories for the THRILLING GROUP, so he was a house author for Leo Margulies, and I could not understand why such a popular writer as Bowen would have a story rejected by Leo’s editorial staff. It just didn’t make any sense! 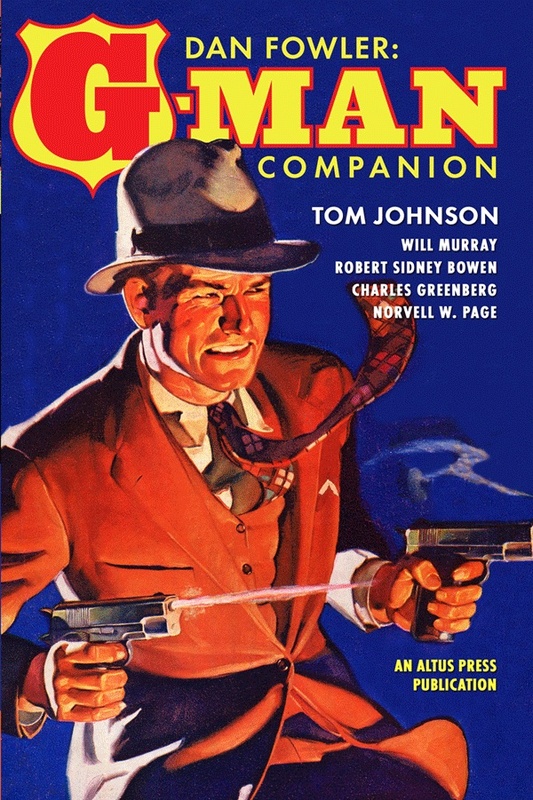 While researching the Dan Fowler series for G-MAN COMPANION, I thought I detected Bowen’s hand in several published stories: Big Shot from February 1936, Hollywood Czar from June 1936, Death Rampant from March 1938, and even Bullet Justice from May 1937. Whether these were his, or not, doesn’t matter. Bowen was writing for Leo Margulies, and was one of his lead authors, so why was a Dan Fowler by him rejected? Let’s see if we can answer why I Cover The Murder Front was rejected? First, let’s consider the date it was published in BLACK BOOK DETECTIVE, June 1937, then reading the story we find it begins in Paris, 1935, then strangely skips to January 1937 for the rest of the story. That seems to make sense. Most stories had a six months waiting period from submission to publication, so if the story was written and submitted in January, a June publication would be reasonable. But here’s another skunk in that woodpile! Without giving away any spoilers, let’s just say that Fowler’s assistant isn’t Larry Kendal. And it reads more like a premier story than a later 1937 period adventure. So how could this be? Something we might consider is the way Leo and his editors brought in a new series. Leo was probably the guiding hand in creating characters, though he might have ran his thoughts by other editors to sharpen them. Then they would give a casting call to their stable of writers, giving them the profiles to work from, and asking for stories. It’s very possible they had three or four stories on hand by the time the first story was published. I’m “guessing” that Bowen’s story was one of them, but it was rejected. The reason is obvious when you read the story. Now, back to that darn date of 1937. If what I think happened, then Bowen might have stuck the manuscript in a drawer and forgot about it. When he found the old story, instead of making a couple of corrections and re-submitting it as a Dan Fowler, he merely changed Fowler’s name to Denby, and updated the time period from 1935 to 1937, and sent it off to BLACK BOOK DETECTIVE. It was a hastily revised manuscript, and several times the name Fowler appears where it should be Denby. I don’t know why it went to BLACK BOOK DETECTIVE instead of G-MEN. The story was darn good, and would have been a great entry in the Fowler series. See if you don’t agree. If this had been submitted for the first story in the Dan Fowler series in 1935, Bowen made a big mistake. He kills off Dan Fowler’s sidekick at the end of the story. 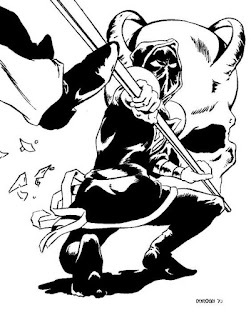 But Leo Margulies must have wanted the sidekick to remain in the series, which Larry Kendall does. So either Leo rejected the story, or stuck it in a drawer somewhere until Bowen could rework it. 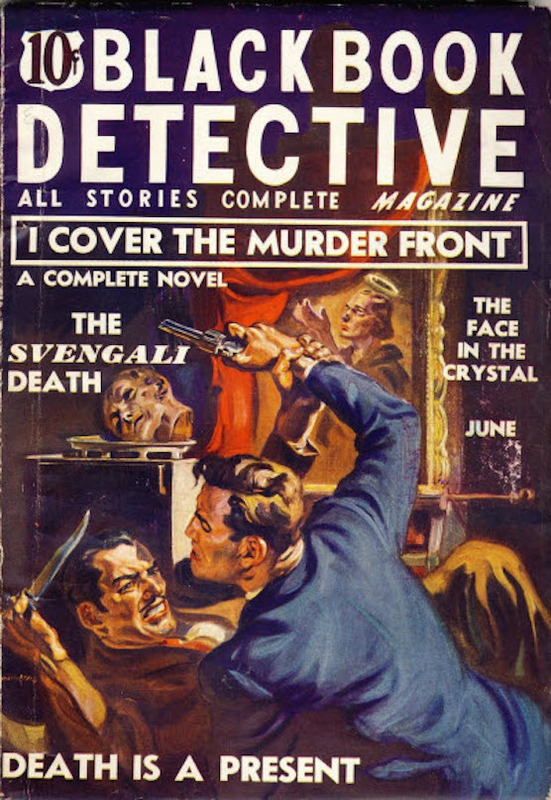 Another strange oddity, the beginning of I Cover The Murder Front begins very similar to a George F. Elliott Dan Fowler yarn during the first year of the G-MEN series. Was Eliott using Bowen’s scene, or did Bowen borrow the scene from Eliott. There was a lot of stuff happening behind the scenes in the pulps, and Ned Pines paid on acceptance of stories, so Bowen’s yarn was probably paid for. 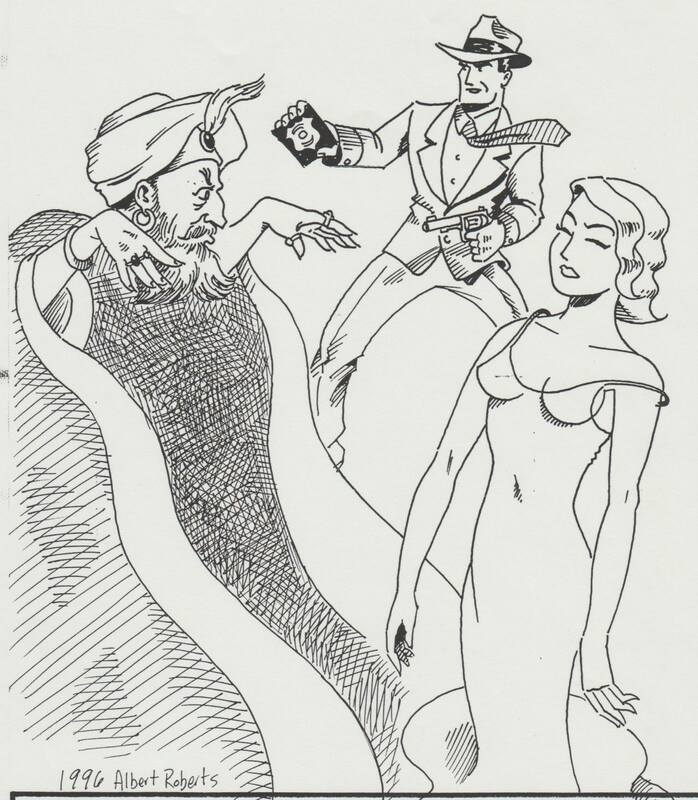 In fact, Leo Margulies published it again in 1940 in the GATEWAY PRESS hardback edition, as The Art Treasure Murders. Again, names were changed, including the author’s. The GATEWAY PRESS edition was credited to John L. Benton, as the author. Not surprising since a number of George F. Eliott’s Dan Fowler stories, as well as a Dan Fowler story by Major Malcolm Wheeler-Nicholson’s Murder Over London as Death Over London in 1940 from GATEWAY PRESS. My guess, it was written and submitted in 1935, but rejected by Leo Margulies, and G.F. Elliott’s story started off the Dan Fowler series However, Margulies had bought Bowen’s story, and when Ned Pines bought BLACK BOOK DETECTIVE, Leo remembered the Bowen manuscript and had an editor change some names and run the story in their new magazine. 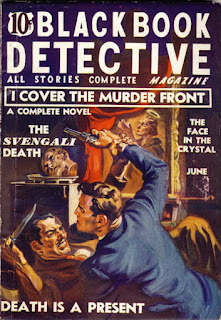 I’m also betting, the title wasn’t I Cover The Murder Front, but The Art Treasure Murders, or something very similar. We could really use a good g-man to investigate this case, don’t you think? Happy reading. The FADING SHADOWS’ magazines literally had hundreds of contributors turning out new pulp stories every month, from 1995 through the end of 2004. Unfortunately, we did not collect all of their bios at the time. Thankfully, Ginger started doing this when she was publishing her anthology series, TALES OF MASKS & MAYHEM. She was selecting stories from our old fiction magazines, and decided to add author bios in the back of each issue. So, basically, what we have here are authors that wrote for our magazines. But elsewhere I have invited other new pulp authors to submit bios. Debra DeLorme: Debra created the character of The Scarecrow. 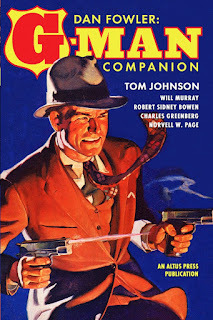 I remember my first exposure to pulps was to The Shadow while vacationing with my grandparents in the late 1960s. I was bored and looking for something to read and plunked down some change in a vending machine at a hotel. 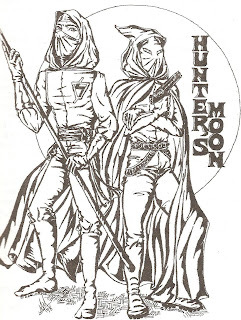 I rediscovered that love for the pulp hero again in 1994 when the Shadow movie came out. This time, I learned there was more to the pulps than just The Shadow. 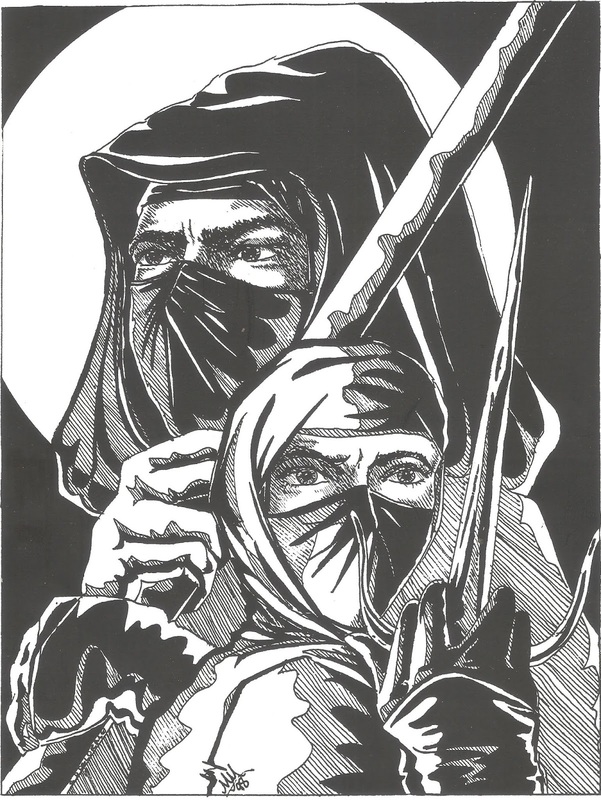 I’ve been writing for a number of years, mostly for fanzines, and The Scarecrow was my first attempt at original pulp fiction, fueled by a love for the larger-than-life pulp heroes. These were being published in Tom & Ginger’s Fading Shadows magazines. In mundane life – at the time I’m writing this – I work as a Radiology transcriptionist for a hospital in Charlotte, NC, and share the house with my husband (who doubles as my editor) and three cats. When I’m not working or writing, I can be found playing video games or reading. I’d like to do more Scarecrow stories, so if you want to give me incentive, please send word to Tom & Ginger and they will pass it on to me.